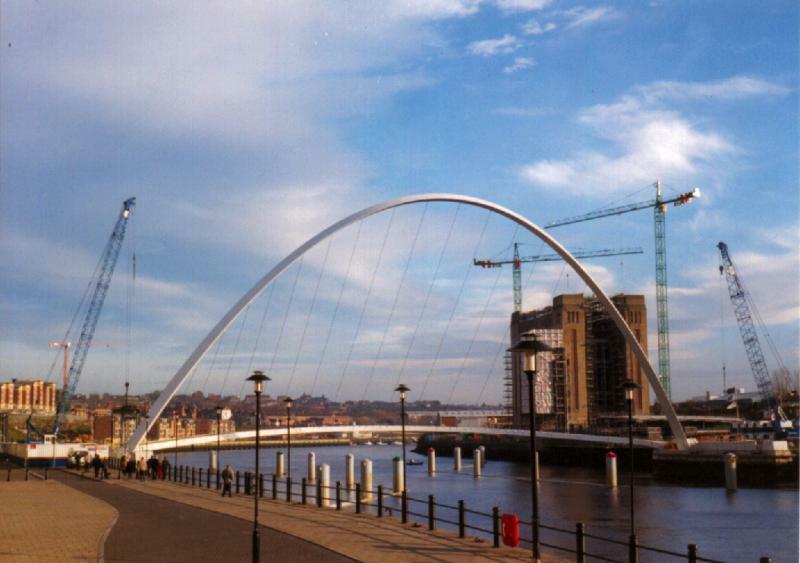 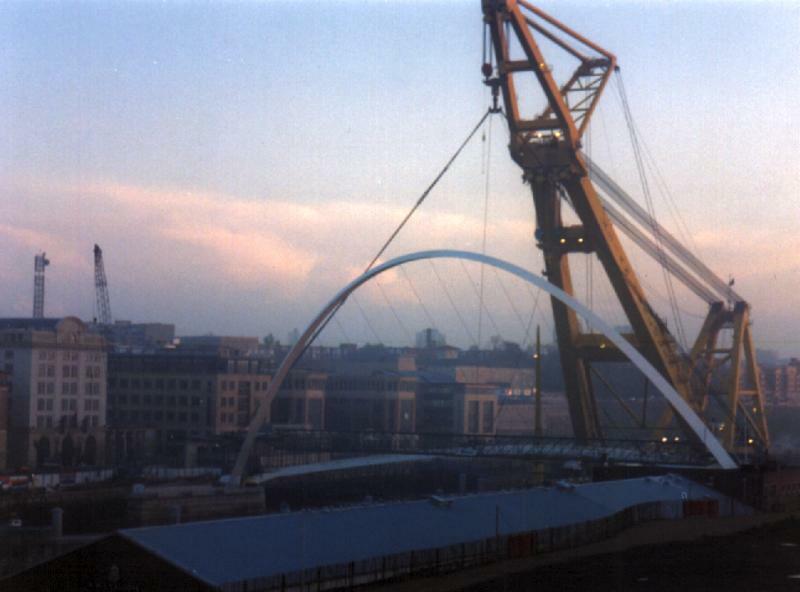 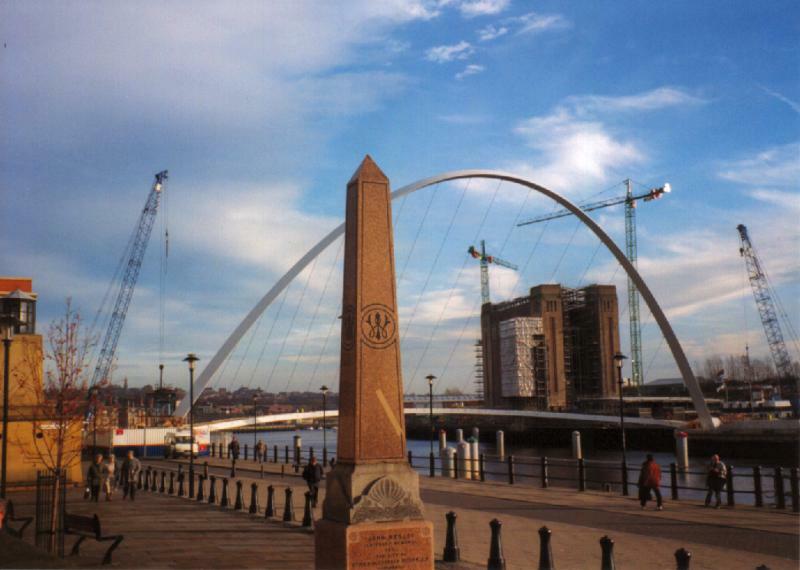 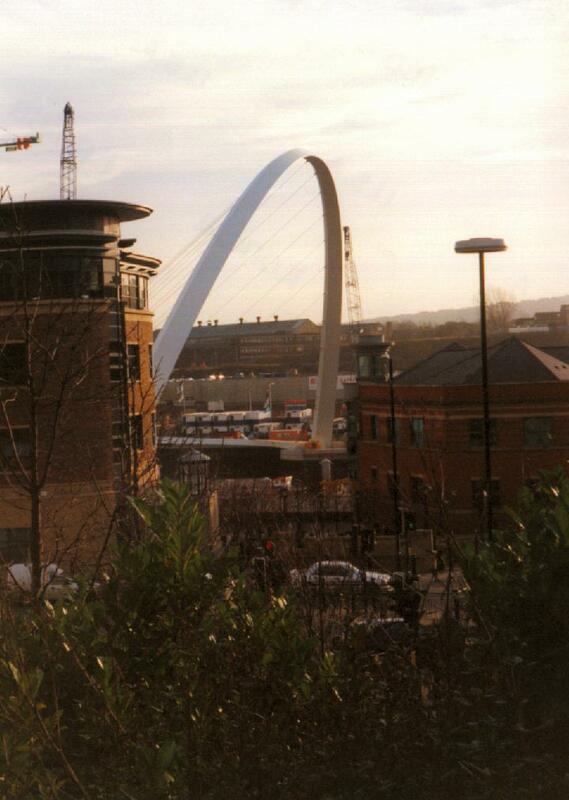 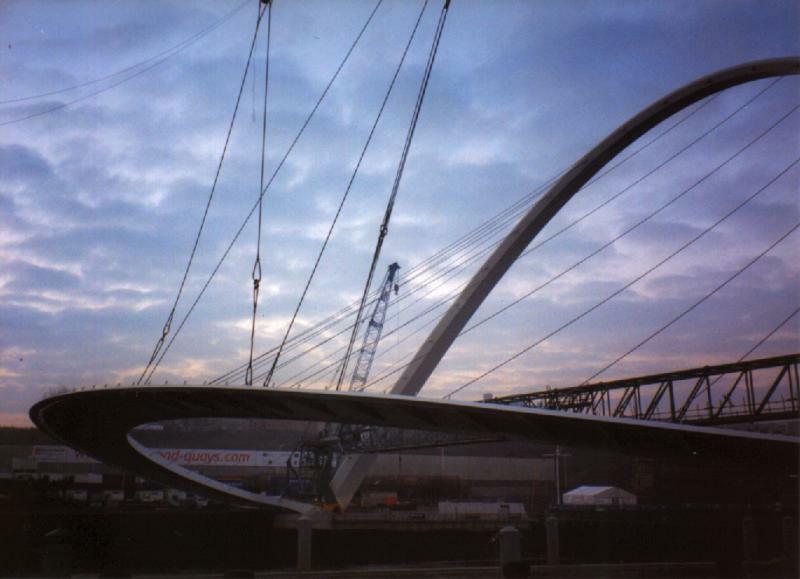 The Gateshead Millennium Bridge is the 10th and most easterly crossing of the Tyne between Gateshead and Newcastle. 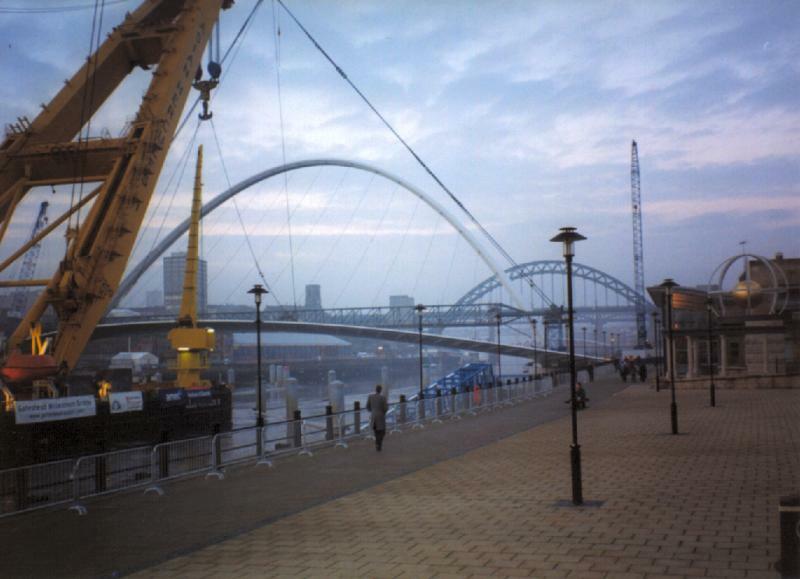 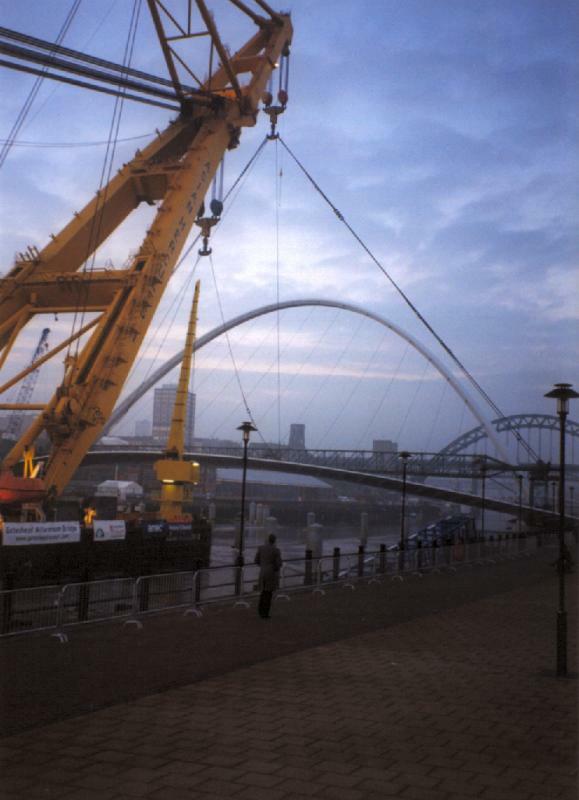 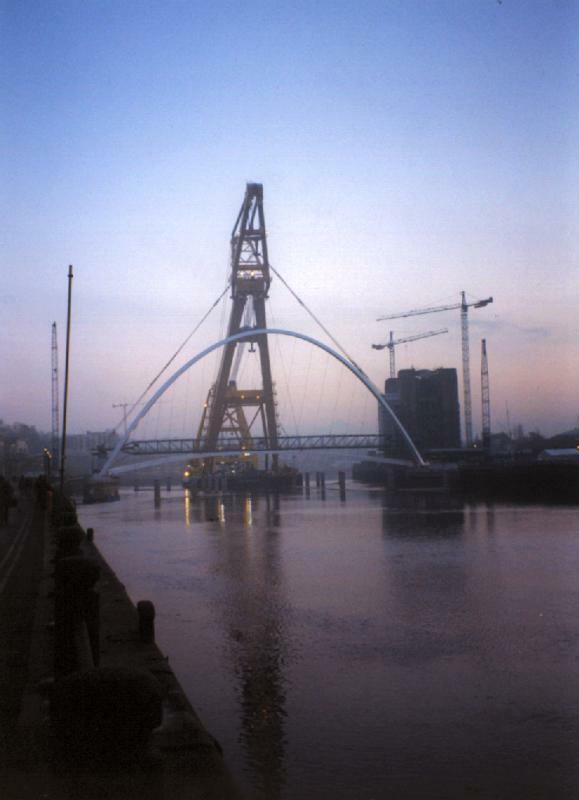 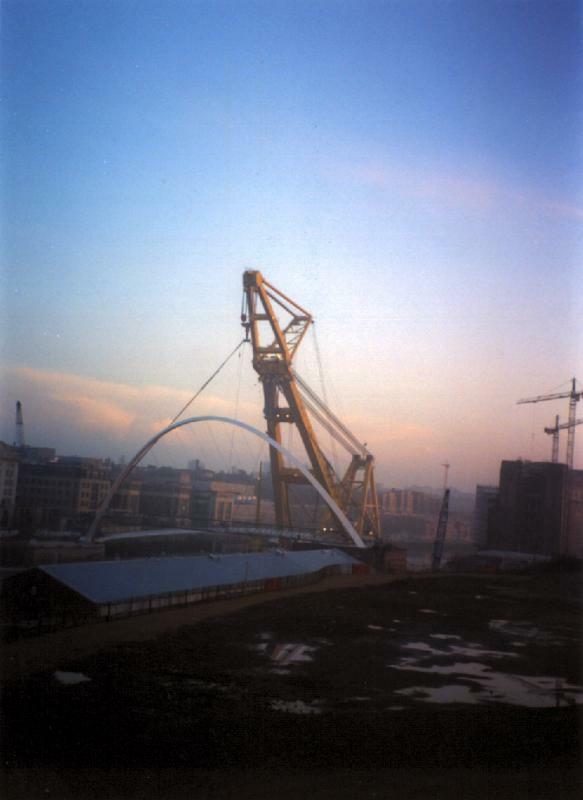 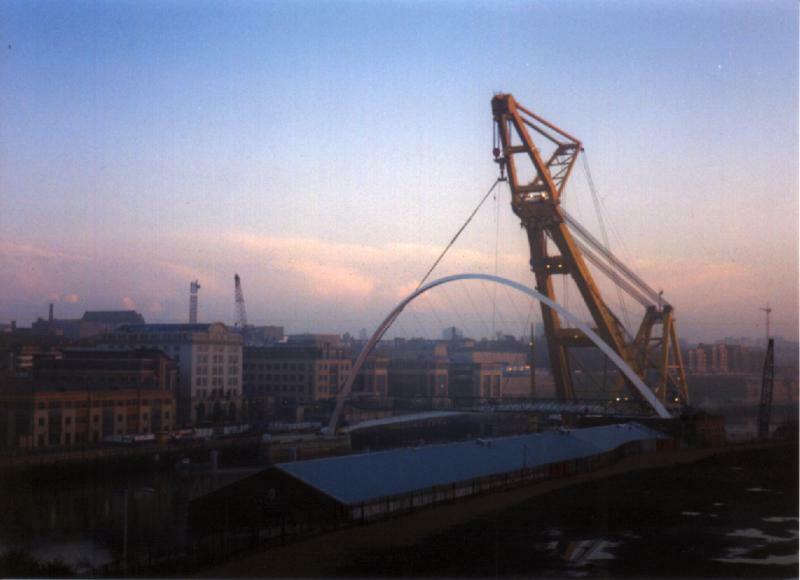 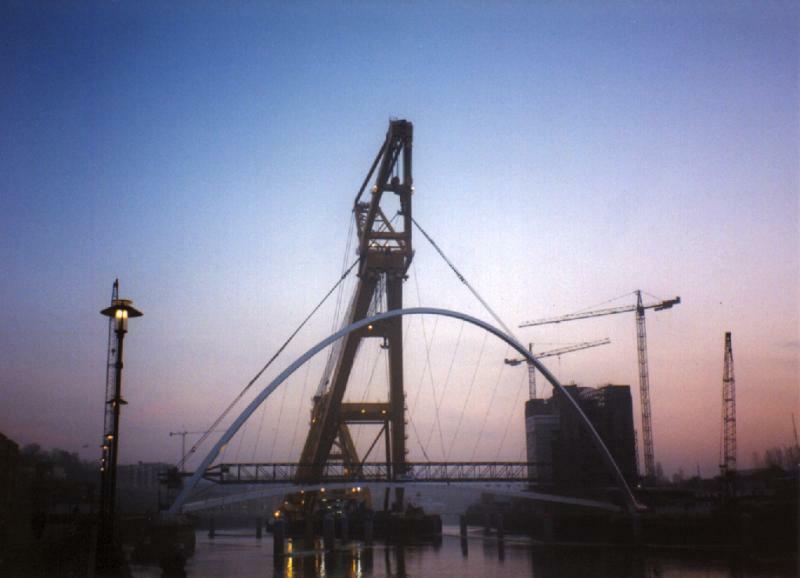 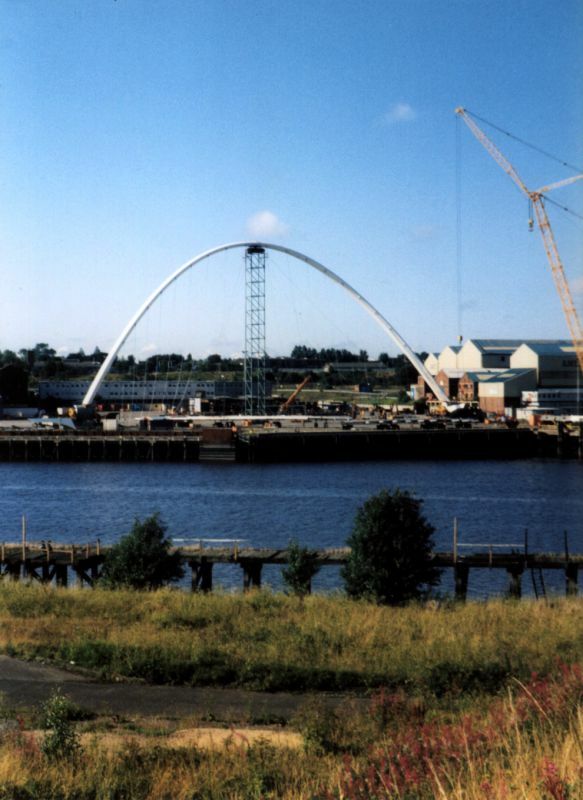 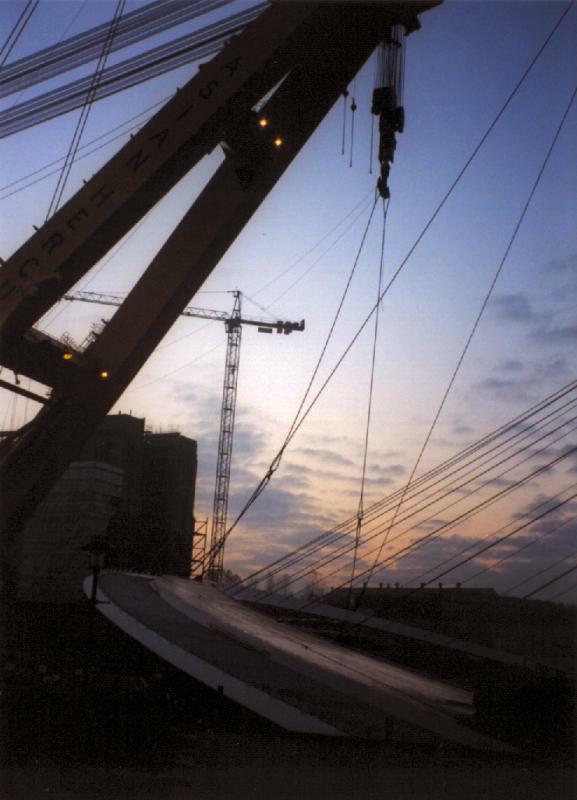 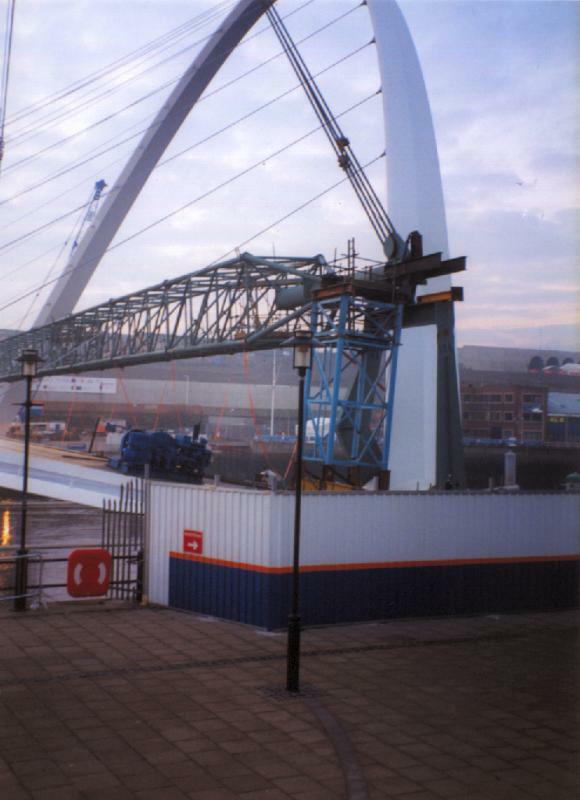 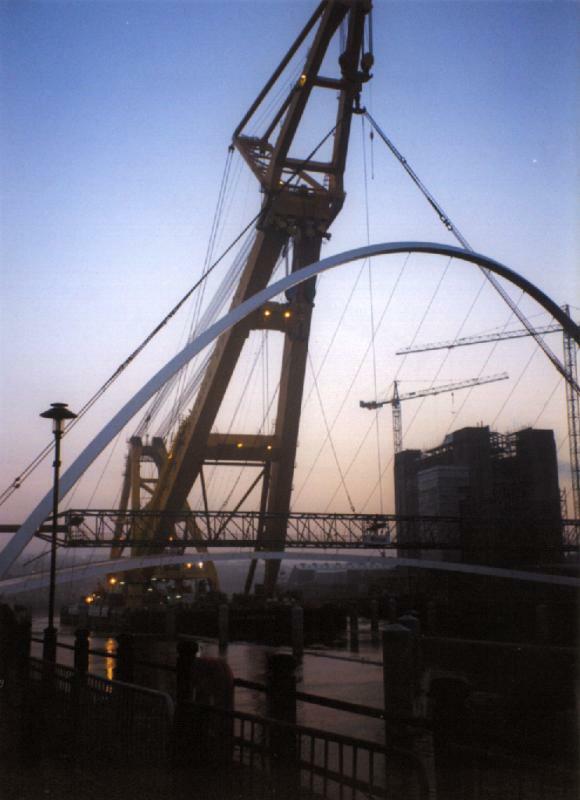 It was brought up the Tyne on Monday 20th November 2000 from the AMEC yard in Wallsend where it had been constructed. 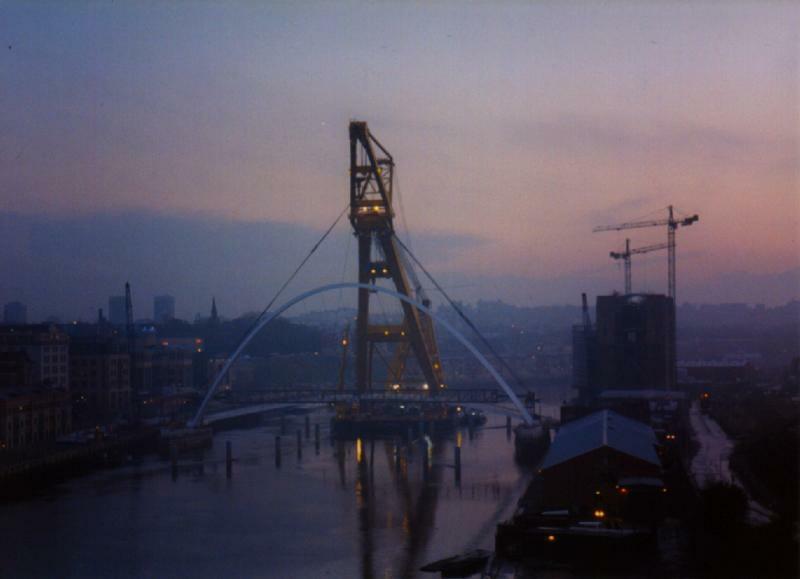 Unfortunately because of work I was unable to get any photos of the Bridge on its journey. 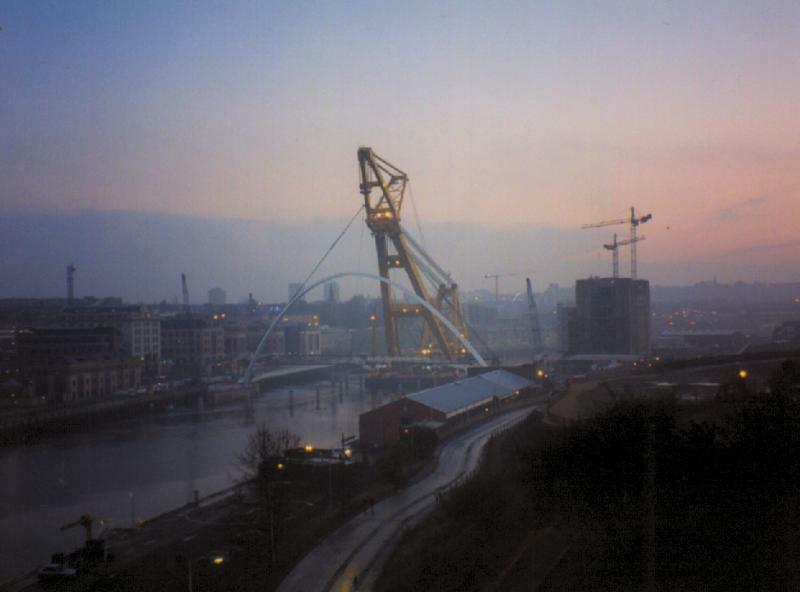 Early the following morning I took quite a number of shots of the Bridge still attached to the crane, the Asian Hercules II. 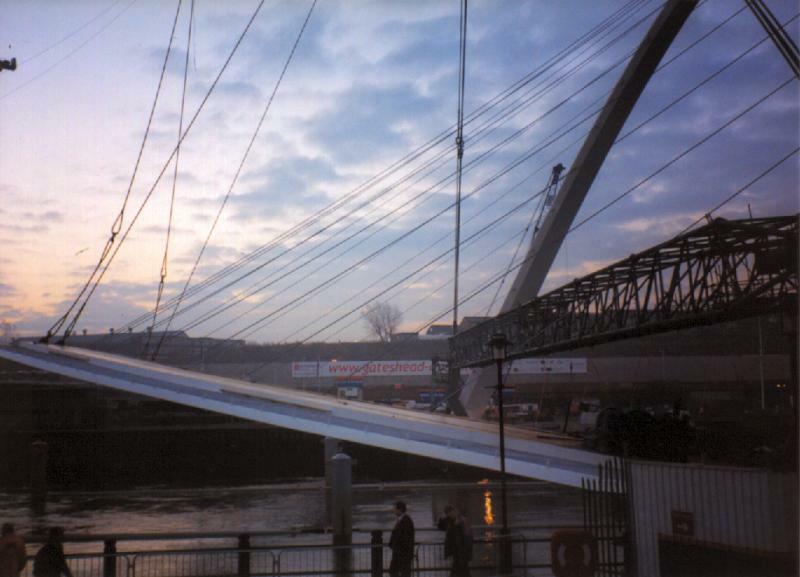 The Bridge opened to the public in September 2001 (see photos of the opening). 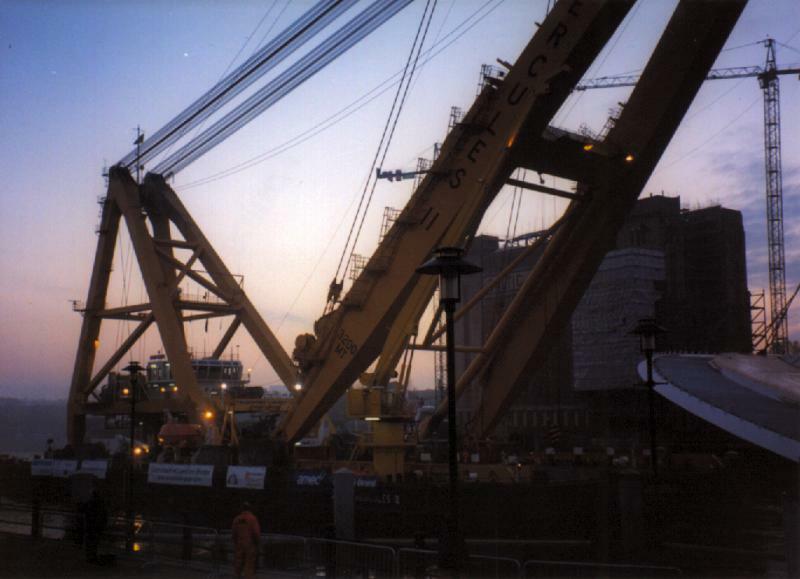 AMEC Yard, Wallsend, August 2000. 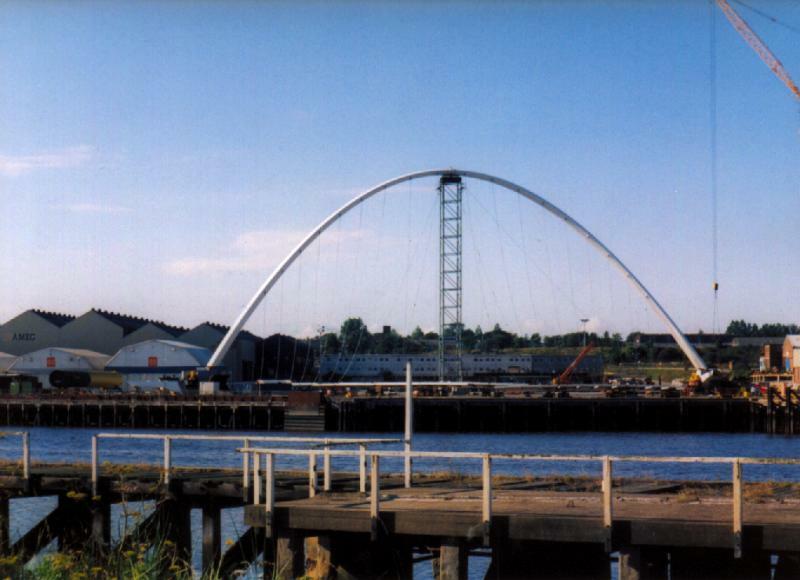 Viewed from Hebburn. 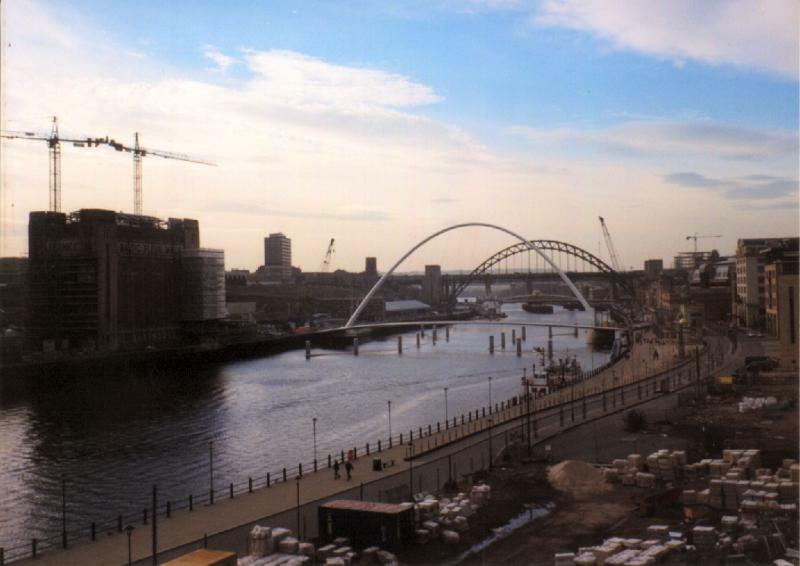 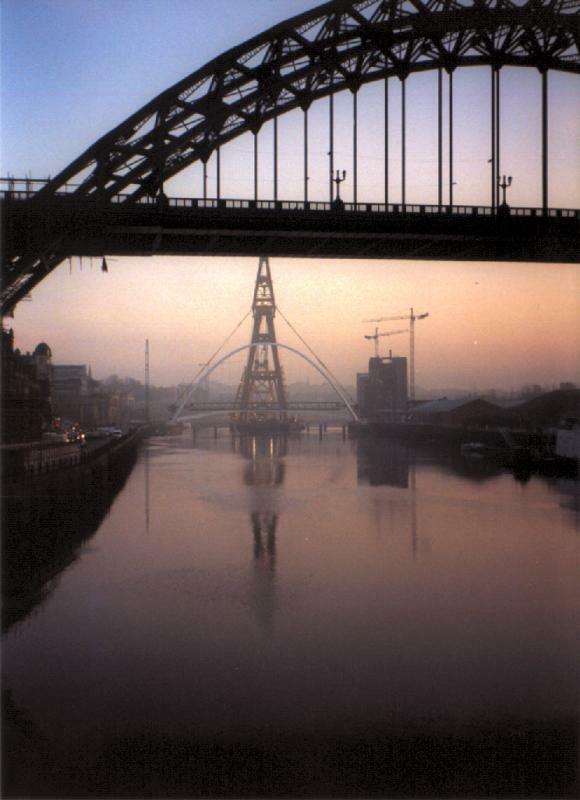 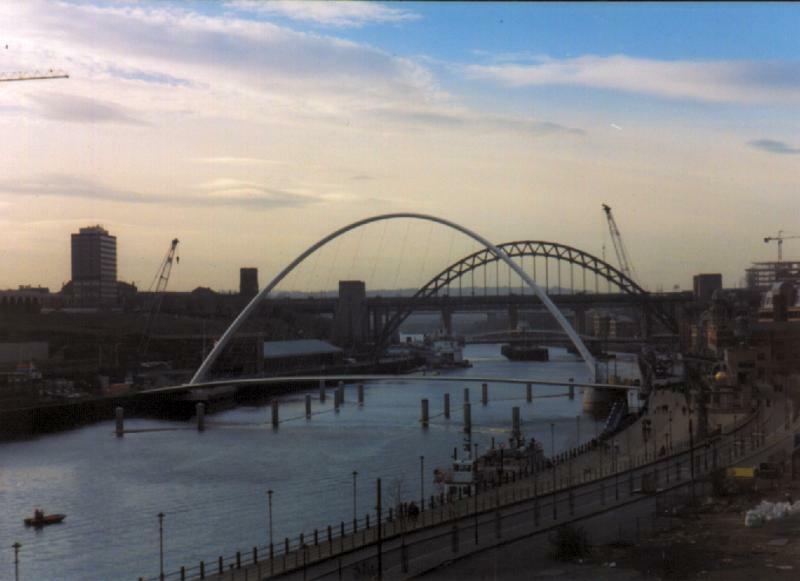 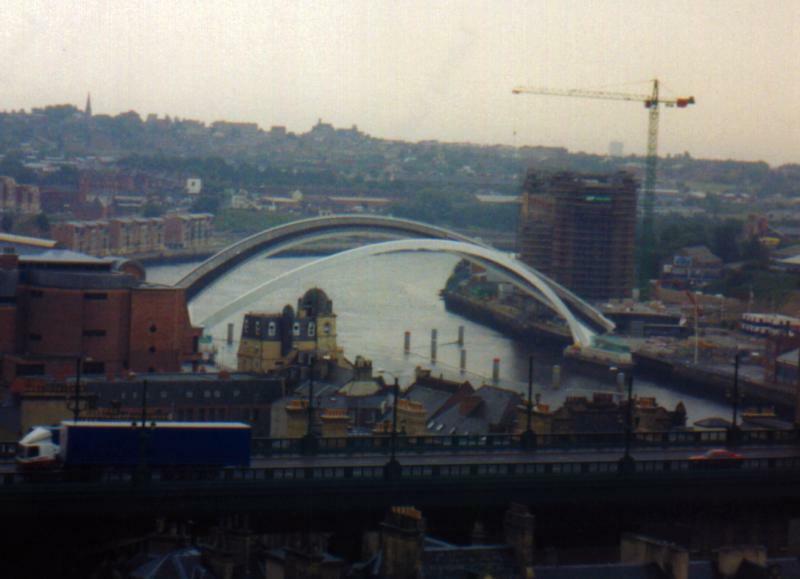 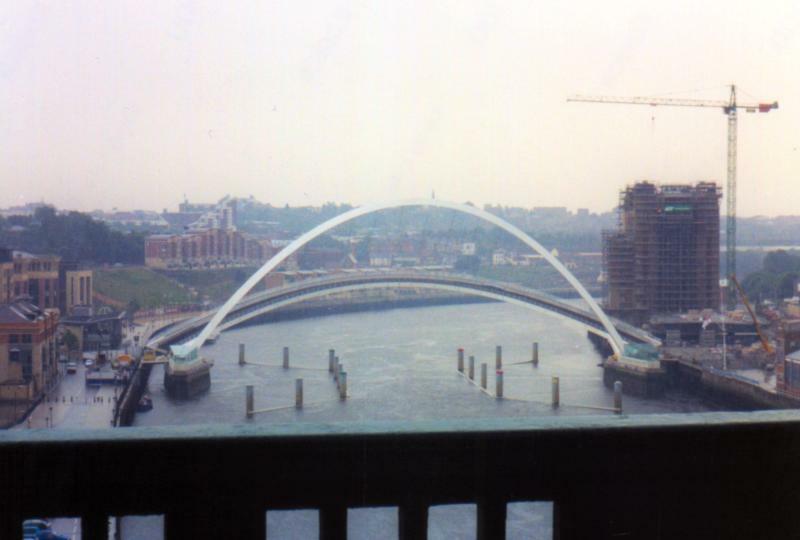 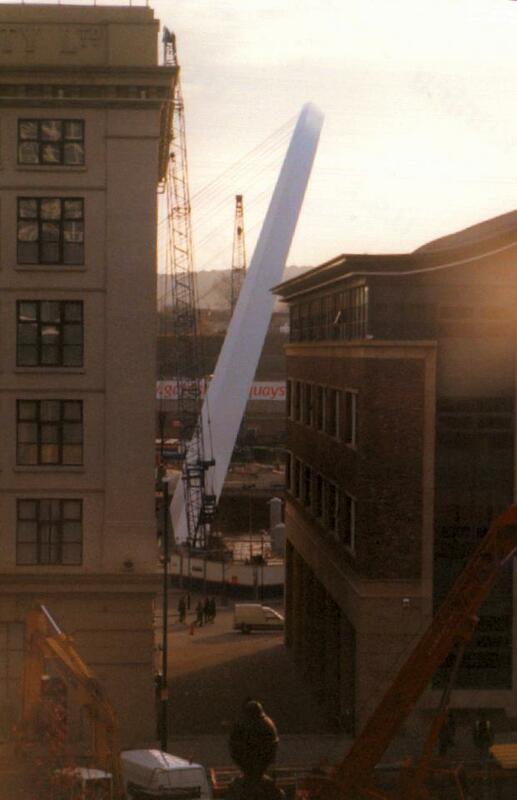 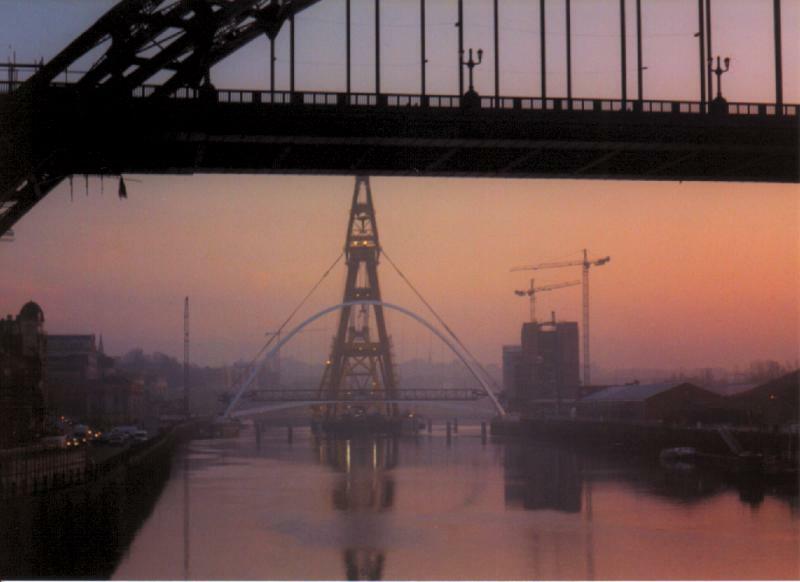 Photographed from the Castle Keep on 26th June 2001 - 2 days before the bridge was officially opened for the first time.